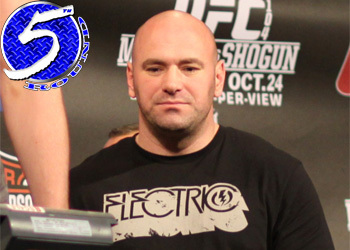 After another spectacular night of fights at “UFC 118: Edgar vs. Penn 2,” company president Dana White awarded three fighters an extra $60,000 each for their special performances inside TD Garden in Massachusetts. Boston native Joe Lauzon didn’t disappoint in front of his hometown crowd, as he utterly demolished former “The Ultimate Fighter” castmate Gabe Ruediger in their lightweight affair. Lauzon was ruthless in his attack, tossing his opponent around like a rag doll. He quickly put an end to Reudiger’s misery after he slammed him on his back and sunk in an armbar to earn his $60,000 commission. The welterweight scrap between Nate Diaz and Marcus Davis brought the crowd to their feet and for that reason, White granted them both some additional cushioning for their wallets. Each pocketed 60k for their thrilling battle. UFC 118 didn’t feature any knockouts, therefore no “Knockout of the Night” bonus. Saturday night’s highly anticipated event marked the Octagon’s debut in Beantown.